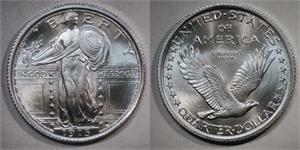 High grade MS-65, full head details. Type 1. 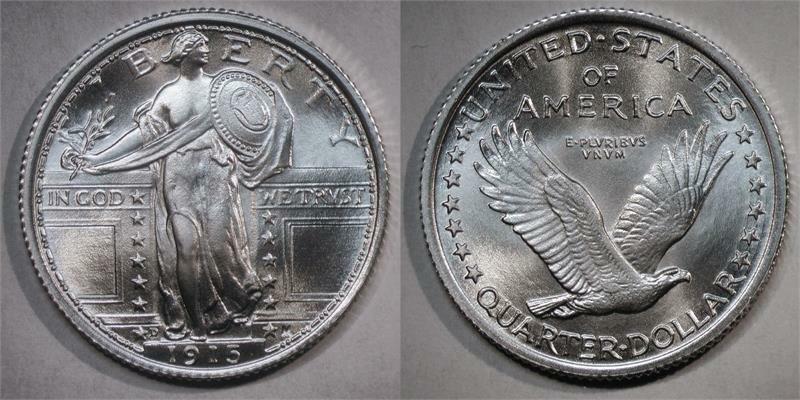 Standing Liberty quarters were originally issued for circulation from 1916 to 1930. 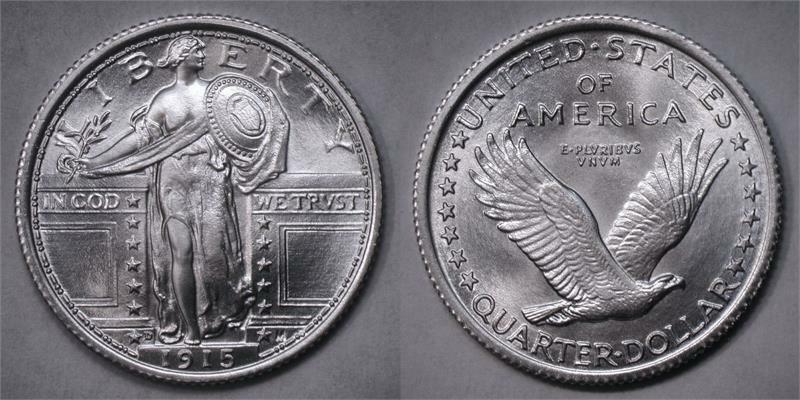 No Standing Liberty quarters were originally issued with a “1915” date.